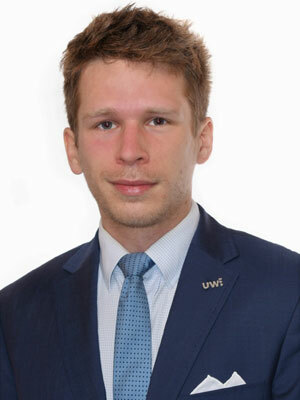 Piotr Karasek has passed the attorney's exam in 2018. He completed his legal studies at the Faculty of Law and Administration with distinction in June 2014. Since October 2014 he has been a PhD student at the Chair of Criminology of the Criminal Law Institute at this Faculty. A laureate, who was awarded the annual prize of the Polish Criminology Association, in Prof. T. Hunausek contest for the best master's thesis from the field of criminology. Previously actively involved in providing legal assistance to the needy as part of the activities of the Academia Iuris Foundation, as well as in the activities of the TEMIDA Criminal Law Scientific Association. He authored and co-authored scientific publications from the field of criminal law and criminology. The main areas of his interest are related to criminal law and criminal proceedings, especially the law of evidence and criminology (he focuses primarily on the so-called digital evidence and opinions delivered by court experts). He also deals in problems related to obtaining Polish citizenship as part of the administration procedure, as well as in matters related to civil law.